Well folks, Google’s event is less than 24 hours away and, despite all the leaks and all the info we already know, there are likely some surprises still in store for us tomorrow. My bet is the majority of those surprises will come through the Pixelbook. 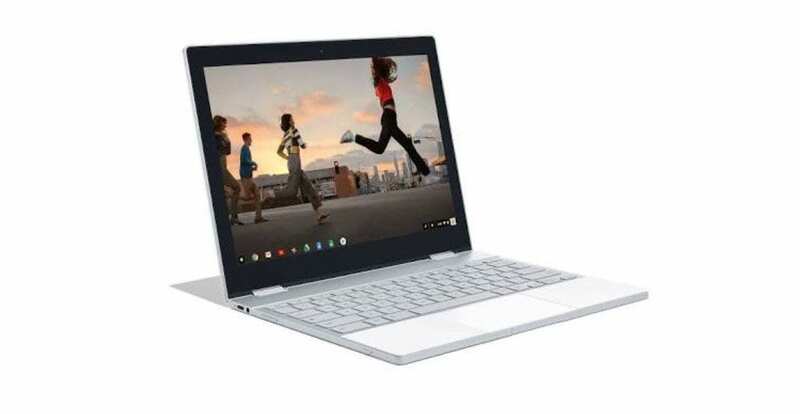 Aside from all we’ve already dug up on it, the Pixelbook still has a ton of mystery around it as what we think we know to this point is mainly through leaked pics, prices, and Chromium Repository commits. Today, we have another commit that lends some weight to the idea that the Pixelbook could contain some features specific to it and only it. At least at the start. It’s no secret that Google has employed this methodology in the past. With both the Pixel and Pixel XL, features like the Pixel Launcher and Google Assistant didn’t come to other Android devices until many months later. Sure, the Pixel experience was similar to the Nexus experience in that it delivered a very clean and pure version of Android, but Google added this new layer of features to only its own phones that it had not previously with the Nexus program (RIP). Granted, many of these features were allowed outside of the Pixel and Pixel XL as time went on, but not everything. The features that made the Pixel Launcher, for instance, are now out and public. The Pixel Launcher itself? Not so much. Additionally, the Pixel’s camera remains a top-performer mainly due to amazing software optimizations in both the device’s firmware and in the camera app. Though mimicked closely by the stock Google Camera, nothing replicates the camera performance on the Pixel even a year later because the specific features are held back for the Pixel only. As I said before, this is a new direction taken by Google in the past year since #madebyGoogle became a thing. As Google now cements its place as a hardware maker, we will likely continue seeing this sort of behavior. Yeah, But On A Chromebook? This all begs the question on whether or not we’ll see this treatment with Pixelbook as well? Is that the reason for the interesting naming? If they do add Pixelbook-specific features, will those features make it to Chrome OS as a whole? Will there be more Google-made Chromebooks at different price-points to get these features into other people’s hands? So many questions with so few answers, but we do have one thing concrete right now to snack on. You can clearly see what’s happening, here. ‘Eve’ (the codename for Pixelbook) is clearly getting a feature that will be locked to it and only it: lockscreen apps. How this will function and behave is a side note right now, mainly because we just don’t know. What is important is the fact that this feature is getting locked to a single device right now, and that is significant. Sure, we see plenty of things tested on one device or another for many reasons. Whether its a hardware, motherboard, or kernel restriction, they need to test on a small portion of devices from time to time. This is nothing new. We’ve never seen a new, upcoming feature get locked to a device before. And this single point is what opens the door to the options Google may take to limit certain new, Pixelbook-specific features to this new Chromebook. Based on the way they handled the first Pixel devices, this isn’t that shocking, but it will be a new paradigm for Chrome OS if they do end up going down this road. I’m torn on my thoughts about this. It could be amazing for the Pixelbook brand, but maybe not for Chromebooks as a whole. Who knows at this point? One thing seems certain, though: Pixelbook is going to be special. And, at the price point we are expecting, it will need to be.